In recent years, natural gas has become a major source of energy, with trade across borders increasing through both pipelines and as Liquefied Natural Gas (LNG). 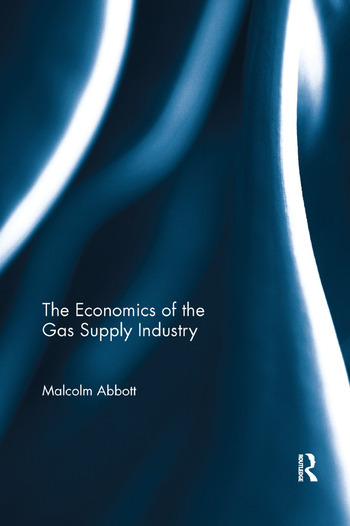 Owing to this global development, this book traces the development of the gas supply industry, from localised to national industries and national industries to a major global industry. It looks at the basic economics and origins of the industry, as well as the role of the government in its development and relation to international markets. The book highlights certain economic characteristics such as the industry’s vertical and horizontal structure, the composition of consumer demand and the role of government in safety, planning and investment. With the understanding of the industry's long term development, the book helps to illustrate the relationship between natural gas producers and importers of LNG. This book would be of interest to scholars majoring in resource economics and energy economics, as well as to international practitioners in the natural gas market. Malcolm Abbott is Associate Professor of Economics at the Swinburne University of Technology in Melbourne, Australia.